Are you thinking about moving or changing? Casas Espania is the real estate agency in Torrevieja qualified to help you find the home of your dreams, in the best possible destination. Our real estate will help you acclimate to your new home as well as your new city. Although thanks to the many advantages of the area where we offer homes, it will be very easy to adapt to the place. 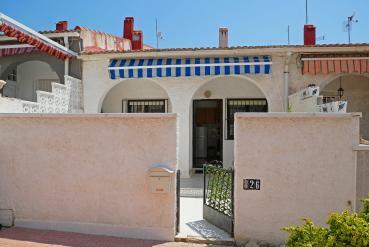 Casas Espania has a wide range of properties for sale, for rent and new construction. Different types of housing so that no client can miss the opportunity to live on the Costa Blanca (Alicante) or on the Costa Calida (Region of Murcia). If something is characterized by our more than 600 properties it is to offer different styles and versions. Our real estate agency is aware that customers have different tastes and priorities. For that reason, our homes are endowed with different qualities that will adapt perfectly to the preferences of the owner. You can live in a traditional and cosy home or in a modern and luxury property. You choose. Spain is popularly known for its good weather. But the province of Alicante and Murcia enjoy temperatures where other locations cannot be obtained. Our real estate agency in Torrevieja will give you the opportunity to live, all year round, in a house with an incredible Mediterranean climate. If you would love to say goodbye to the cold and the intense rain and welcome the heat, trust our agents and the properties they will offer you. If you are very interested in buying your home in Spain, more specifically in the southeast of the country, contact our real estate agency in Torrevieja. If you want to know the information of our properties, you can get it in Centro Commercial Calle Bizet Local 6 La Siesta - 03184 Torrevieja (Alicante). If you want to arrange an interview before, you can do it by calling the numbers: 0034 966 785 202 - 0034 669 366 996. Another possibility to be in direct contact with Casas Espania is to write us an email to info@casasespania.com. Our professionals will answer you at the moment they receive the mail. They will not delay in answering you.